Focusing on the so-called 'Phoney War' at the start of World War II, this well-researched account concentrates on incidents when Britain stood alone during those tense and dark early days of hostilities. The book contains graphic accounts of enemy action including two major attacks on elements of the Home Fleet, the downing of the first German aircraft on British soil, the sinking of the liner Athenia and the pursuit of the raider Graf Spee. The controversial attack on the aircraft carrier Ark Royal is vividly described when Goering's flyers harassed fishing boats along the coastal waters. The fates of captured Luftwaffe crews are also presented with the aid of authentic eye-witness descriptions. There are also accounts of the time spent by enemy crews in prisoner-of-war camps in Britain and Canada tracking the conduct of would-be escapees. Descriptions of the north Atlantic convoys are vividly related and in particular the dramatic and harrowing account of two Merchant Navy seamen who rowed their way to freedom after their ship had been ruthlessly attacked by a notorious Nazi captain. With painstaking research the author has provided fascinating stories complemented with previously unpublished photographs and documents - an unmissable read for the modern historian. 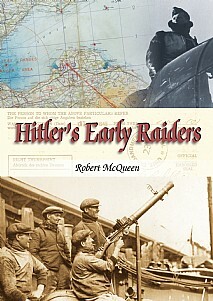 Sure to be of widespread appeal to everyone with an interest in modern military and maritime history and also to the casual reader.